This is one of those delightful recipes which requires very little work and can just bubble along in the background whilst you go about your daily life. In terms of timing, I find it best to do steps 1-4 at night, then begin the cooking process in the morning before work and sure enough, in 8 hours or so when you’re home it’s mostly ready! No waiting around. And of course, you do not need an electric slow cooker to rock this dish – a crockpot in the oven at around 90-100C will work just as well. 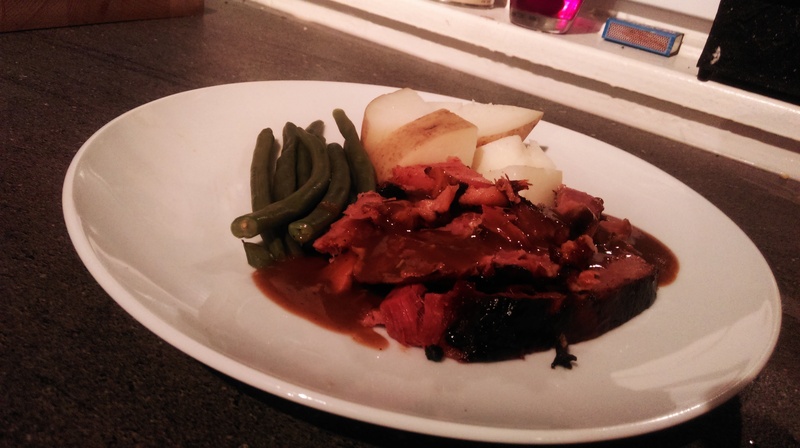 I’ll also be giving showing you how to make the perfect gravy accompaniment for this too! Score the fat of the ham, being careful to not cut into the meat itself. Push the cloves into the meat itself through the cuts you’ve just made. 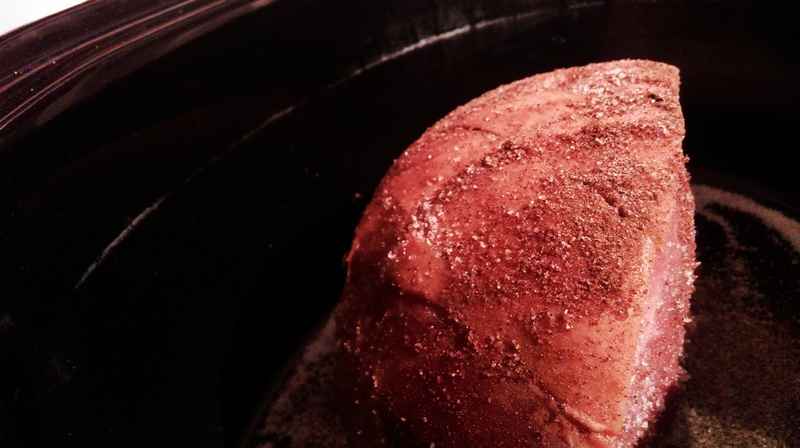 Place the ham into the slow cooker and cover with a generous helping of sugar (half a mug or so) – brown is best but not essential – and a few teaspoons of nutmeg. 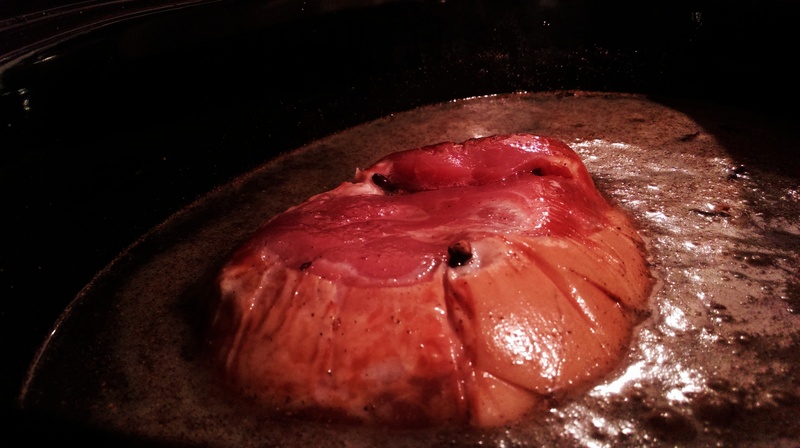 Pour over enough cider to mostly cover the ham and give a quick stir to help the sugar mix in. Cook on a low heat for 8 hours or so. 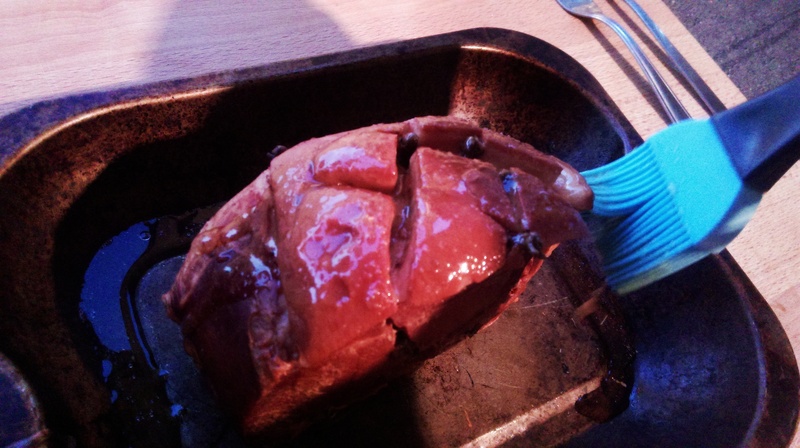 Carefully transfer the ham from the slow cooker to a baking tray and paint with honey. 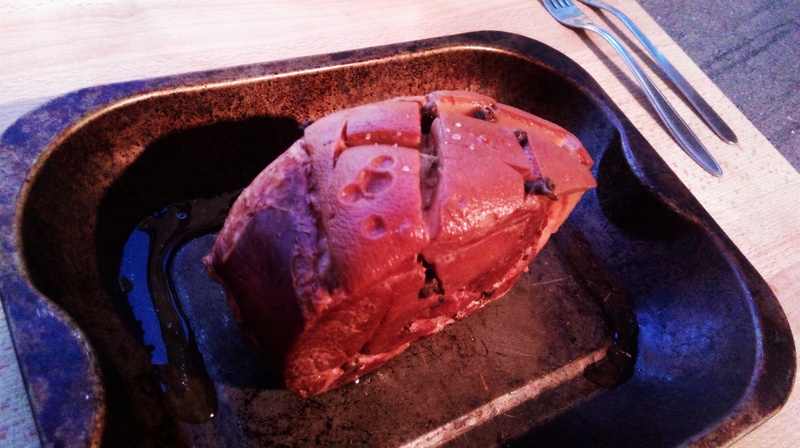 Roast in the oven at around 180C for around 20 minutes – the ham is already cooked, you’re just trying to give the fat that beautiful dark finish. Whilst the ham roasts, make a simple roux (flour and butter mixture) in a saucepan and cook until it smells like pie crust. 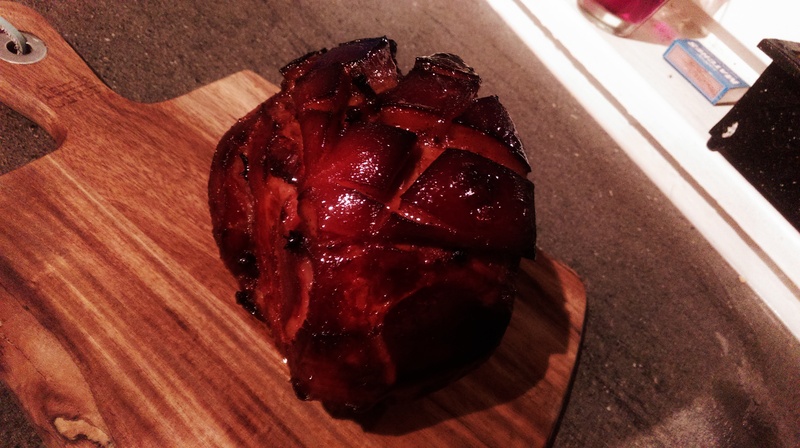 Pour in a few ladles of the cider that the ham cooked in. 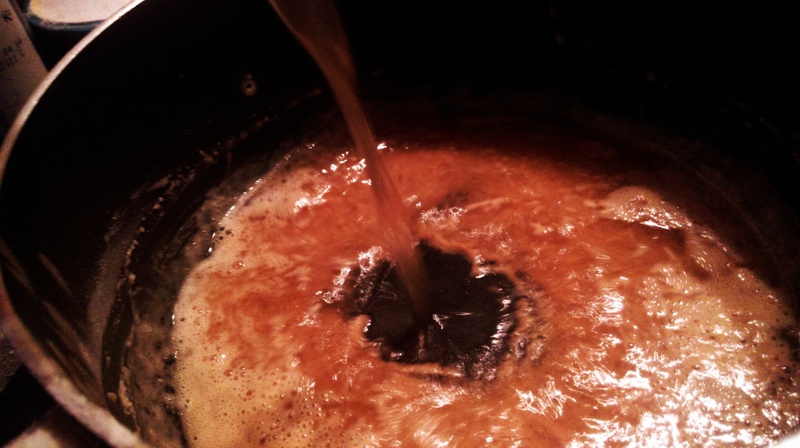 Simmer until it thickens, season and adjust. For a dinner party situation it’s nice to serve the whole ham and slice at the table, but in any case a few slices covered in that luscious gravy with some steamed vegetables will blow you away. This will safely keep for 3 or 4 days in the fridge. 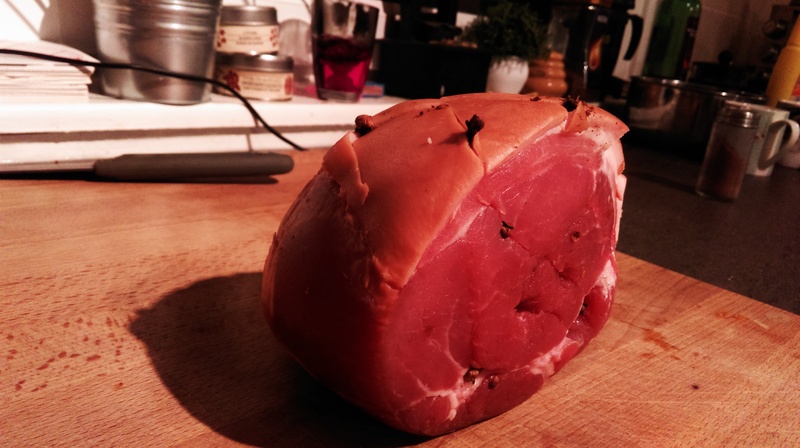 Posted in Guesscipes, Mains, PorkTagged bacon, cider, guesscipe, ham, honey, honey roast, pork, recipe, roast, slow cookBookmark the permalink.